As the curtains close on the 71st Cannes Film Festival which was held from 8th to 19th May 2018, we look back at the many memorable moments of this year’s festival. From the silent protest by 82 women across the industry to bold and gorgeous appearances by our favorite stars on the coveted red carpet, there was a lot that happened at this year’s event. Over the years, Cannes has become a fashion platform, with attendees vying for a spot among the best dressed. Bollywood reigned the red carpet this year, with one fashionable look after the other delivered by our brilliant actresses and actors alike. Here are the best Cannes looks by Bollywood actresses. Deepika Padukone : Following a mellow response to her Met Gala appearance, DP left no stone unturned for each of her appearance on the Cannes red carpet, the most talked about being her Ashi Studio SS18 couture ruffled mullet cut fuschia dress. She slayed on the red carpet and her picture of her posing with her tongue out took the internet by storm. 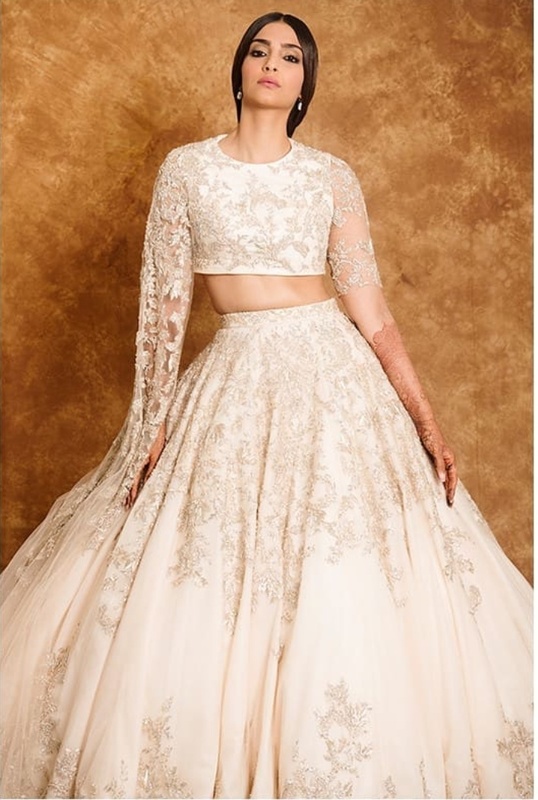 Sonam Kapoor: Bollywood’s in house fashionista was at her A game, riding high on her #EverydayPhenomenal wedding and putting her best fashionable foot forward to deliver one brilliant red carpet look after the other, the highlight of which was her Ralph and Russo custom couture. Rasika Dugal: Rasika Dugal, who attended the Cannes Film Festival for her film, Manto, directed by Nandita Das and starring Nawazuddin Siddiqui in the titular role, showed the world that keeping it restrained can do wonders. Her custom Jade gold wrap dress was a statement in its stead: Minimalistic is the latest trend. The talented actress later wore a custom Jade navy blue gown while walking the red carpet with 82 prominent women in Cannes for the #MeToo movement. Aishwarya Rai Bachchan: Aishwarya made her 17th appearance on the Cannes red carpet, looking a literal dream in her Michael Cinco custom butterfly gown. Kangana Ranaut : Kangana also made her Cannes debut and it was exactly like we expected. The Queen actress who is known for her fashionable choices did not disappoint, when she rocked a jumpsuit by Nedret Taciroglu and was crowned the Best Dressed at the festival.